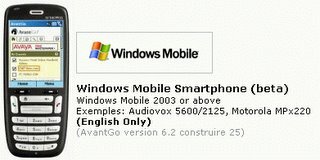 "Windows Mobile Smartphone users can now take advantage of the free AvantGo mobile Internet service with access to over a thousand websites optimized for reading on their phone, including news, weather, sports, and more from the world’s leading media brands. Beta support is available for Windows Mobile Smartphone 2003, 2003 SE and Windows Mobile 5." This is very cool. Sure, you can use your smartphone to access the internet in real-time, but sometimes you don't have a good signal. Now you can automatically download stuff you want to read, or look at later, without needing a continuous connection. A U.S. software expert, scheduled to testify at Friday's European Commission meeting on Microsoft, will seek to refute earlier claims that the software giant's instruction manual was "totally unusable," according to a Washington trade association. The U.S. expert, Dave Sommer, is vice president for Electronic Commerce for the Computing Technology Industry Association (CompTIA). CompTIA spokesman Michael Wendy said Sommer has examined the documentation that was provided by Microsoft last year and reviewed and commented upon by EU consultant Neil Barrett. A CompTIA statement said Sommer "will state that the quality and usability of the documentation is comparable to, or exceeds, other similar documentation employed in the software industry." Sommer, a 25-year veteran of the computer industry, prepared a pre-recorded video and teleconference statement for delivery to the EU commission that is studying whether to fine Microsoft $2.4 million daily for allegedly violating EU business regulations. The CompTIA spokesman said the trade association couldn't discuss the situation further, because the presentations and deliberations at the EU regulatory agency are private. CompTIA is a Washington-based trade association that has argued for years that the European regulatory action against Microsoft is unwarranted primarily because the European market is exceptionally competitive. Barrett, a former computer hacker turned digital crime forensic expert from the U.K., was among the specialists Microsoft recommended to review its documentation for the EU. In a scathing review -- he said "There is apparently no structure and no logic in the whole documentation" -- Barrett set off a firestorm. Microsoft accused him of colluding with its competitors, and that was quickly denied while Barrett's supporters said he was scrupulously fair. Particularly galling for Microsoft was the fact it has to pay Barrett's EU salary to critique its work. Microsoft received additional help from Washington Thursday when the U.S. mission to the EU said the Microsoft case in Brussels has caused "substantial concern to the U.S." While the U.S. government has made no official complaint about the EU's case against Microsoft recently, there were several published reports indicating that U.S. diplomats had met with European counterparts this week to discuss the issue. In 2004, the U.S. Justice Department sided with Microsoft in complaining about the EU regulatory action against the software firm. In hearings in Brussels this week, Barrett, a native of the U.K., gave details on his frustrating efforts to use Microsoft's documentation that it had presented to competitors, according to published reports. The meetings have been closed to the press. MySpace.com, the fast-growing community website hugely popular with American teens, has removed 200,000 “objectionable” profiles from its site as it steps up efforts to calm fears about the safety of the network for young users. 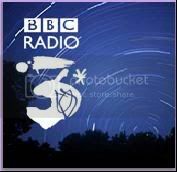 The site, which allows users to create their own profiles with details of their interests that can be viewed and linked to by other MySpace.com “friends”, was acquired by Rupert Murdoch’s News Corp last year and its phenomenal growth has placed it at the centre of the media company’s internet strategy. The eHow wiki has an note worthy entry on how to drink more water everyday. There are a variety of reasons to drink plenty of water each day. Adequate water intake prevents dehydration, cleans out the body, and promotes healing processes. Substituting water for beverages high in calories can also help control weight. Follow the steps below to make sure you're getting enough of this most basic necessity. 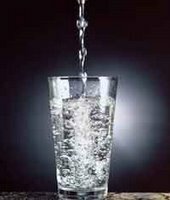 eHow offers steps for increasing your water intake, along with several useful tips. Steve Ballmer, Microsoft's energetic CEO, admits that he has brainwashed his family by not letting them use any products from rival companies. In a recent interview Ballmer was asked if he owned an iPod. His response revealed a curious insight into just how deep-rooted industry rivalry is. "No, I do not," he replied. "Nor do my children. My children--in many dimensions they're as poorly behaved as many other children, but at least on this dimension I've got my kids brainwashed: You don't use Google, and you don't use an iPod." I can imagine as to why you don’t want to use a competitors products but not allowing your family to use them is just cold. Common how many of us don’t use Google or own an iPod and use them on a daily basis!!! The latest news on the Halo 3 front is that we can expect it come March 2007, roughly one year from now - so says two anonymous sources close to Microsoft. IGN recently received the information from two different sources, one "in Microsoft" and the second "close to the company" who both said that the next game in the Halo series will be published in March 2007. While Microsoft have declined to officially comment, IGN have nevertheless made their own comments on the supposed launch date, saying that while the holiday season is still of the upmost importance in terms of selling games, the first quarter of the year has also seen a rise in sales volume, which could explain Microsofts move. While many presumed that Microsoft would launch the next Halo at the same time as the Playstation 3 was released, they might be deviating from that strategy in order to get as many people focusing on the massively popular game as possible. 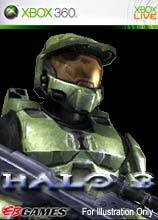 Also interesting is the timing with regards to the Halo movie, which is due summer 2007. Another previous scenario was the simultaneous release of both the game and the motion picture. However, as IGN suggests, maybe the game leaves questions open for the movie to address. The NFL said it is renegotiating its online licensing deal which expires in May. Apple, Google, Microsoft and Yahoo are reportedly going after the new deal. “It’s wide open. We haven’t made any decisions yet,” said an NFL spokesman. Apple and Comedy Central have added the new 10th season of South Park to the iTunes Music Store. A Season Pass is offered for $11.99. Xbox Live gold starts today!! Microsoft will offer free access to its Xbox Live gold service from March 31 through April 2, the company said Thursday. The company already offers full-time free access to a lower, silver level of its live service. Users there can create player profiles, maintain lists of friends, access the Xbox Live marketplace, play multiplayer online games, and send and receive voice and text messages. Gold-level users, who usually pay $49.99 a year, get all those features, plus enhanced gamer feedback, better friends list management, access to more sophisticated online game play and more. Panasonic has announced its plans to start selling stand-alone players for Blu-ray disc playback in September this year. Its aim is to sell 5 million players within the first year of release, with the price set below US$1,500 initially. That figure of 5 million is thought to include stand-alone players, PC disc drives, and videogame systems (PlayStation 3), however.Reid Sullivan, vice president of Panasonic merchandising, put the record straight on possibly supporting both next-gen formats, saying, "We recognize that it's best to have one format." He went on to comment that there is confusion over the two formats, but that Blu-ray has "wide support in the industry. "The launch of the player is expected to coincide with the release of Panasonic's new 103-inch plasma screen (it will cost "several times more" than US$10,000), which surpasses its previous 65-inch plasma as the biggest display the company produces. British Airways has a very awesome little tool that will help you fight Jet lag when traveling across multiple time zones. Working in conjunction with the UK's leading sleep expert, Dr. Chris Idzikowski, we have developed the ultimate jet lag advisor. By answering a few simple questions regarding your recent or planned flights, we can advise you on the best things to do to minimise your jet lag. 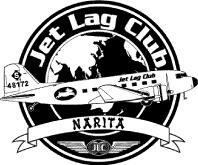 The jet lag advisor tells you when you should seek and avoid light on your trip in order to keep your body's clock feeling as normal as possible - a useful tool for the frequent flier. Which Console Maker do you Trust? Forrester Research has published the results of a survey it conducted to examine the trust that American households place in various consumer electronic brands - including Microsoft, Sony and Nintendo. The report shows that Sony had the highest level of trust out of the three next generation console makers, earning an average of A+. In fact, this was good enough to get it to third place out of a total of 22 companies (only Dell and Bose were higher). Microsoft earned a C rating, which put them in 20th place out of the 22, while Nintendo scored a B and were in 17th place. "Microsoft faces big consumer defection risk. One measure of consumers' dissatisfaction with Microsoft is seen in the 5.4 million households that give it a brand trust score of 1 [distrust a lot] or 2 [distrust a bit]. Compared with all Microsoft users, these at-risk users have higher income, are much more likely to be male, and are bigger online spenders. These households know they run Microsoft software but would be just as happy to leave it behind — if they could." This HOWTO details a simple and lovely mod that converts a Nintendo Entertainment System cartridge into a bus-powered USB 2.0 2.5" hard-drive enclosure. Microsoft have officially updated their Xbox 360 backwards compatibility with three additional Xbox titles. Fans of Black will be happy. Click here to see the entire updated list. There's good news and bad news in the systems market. While PC sales are projected to taper off this year, solution providers will be negatively affected only if they sell primarily desktops. Increased demand for notebooks will continue to outpace the decline in desktops, according to the most recent forecast from Gartner, which predicts that overall PC sales will grow only 10.7 percent this year compared with 15.7 percent in 2005. Worldwide unit sales of notebooks will grow 22.1 percent in mature markets and 38.7 percent in emerging regions, Gartner says. "Thanks to pricing and innovation in form factor and battery life, mobile PCs are appealing to a wider range of users," says George Shiffler, a Gartner research director. Indeed, solution providers say the demand for notebooks is clearly stronger than it is for desktops. 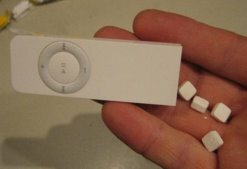 Following lawsuits claiming the iPod can cause deafness, Apple released a new piece of software for the iPod nano and 5th-gen iPods that allows users to set their own maximum volume. It also allows parents to set their children's iPod volume and lock it with a combo code. This new piece of software is aimed squarely at people who don't know that loud noises cause deafness. I wonder who really, truly needs a piece of software to help lower the device's maximum volume? Kids, granted, and perhaps the software would be fine just adding a parental lock feature of some sort anyway. Children have naïveté as an excuse, and parents may have clamored for the quieter iPod, looking to avoid actual parental notions such as telling their kids not to crank up the tunes. But for the rest of grown-up society, I don't see any purpose or need for this software patch. There is, after all, a volume control, which millions of people have been able to set for themselves. It's not as if every iPod that's ever been created was automatically set to "cause deafness loud" levels straight out of the factory. Moreover, the user manual has a thing or two about volume control. Apple was pretty much forced into spending probably millions of dollars creating this software, which is unnecessary. Oh well, such is the state of our modern legal system. Software update 1.1.1 can be downloaded at the iPod download site. For more info, please see vnunet. The best things in life aren't just free--they're indispensable. Case in point: these outrageously useful downloads, sites, and services. 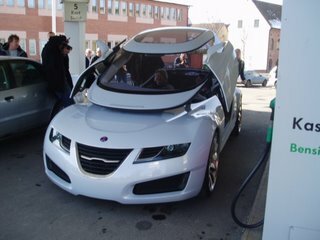 Photos of the new SAAB supercar on a Hungarian website. Attention AOL dial-up customers Microsoft Corp.'s MSN has a deal for you. The deal is in the form of a price cut for dial-up, bringing the total monthly fee for MSN to $17.95 a month versus AOL's $25.90. AOL dial-up customers were recently hit with a $2 price increase. Dial-up is the high tech industry's buggy whip business, but there's obviously some gold left, even as most Internet service providers work to move their dial-up customers to broadband. Curiously, higher speed broadband is often priced lower than dial-up. Verizon and AT&T, for instance, have been offering DSL broadband for around $15 a month recently. Cable broadband providers, too, offer low-priced broadband. Microsoft said it believes it can pick up some AOL dial-up customers, even though the broad dial-up market is shrinking, as users move to broadband. Microsoft can also give a little nudge to archrival Google, which beat Microsoft out in December in a competition to invest in AOL. Google won, invested $1 billion in AOL, and took over a chunk of the latter firm. Microsoft was left out in the cold in the deal. "We definitely think there's some opportunity for AOL dialup subscribers to explore alternatives when they see a price increase," Kevin Mizuhara, MSN Access director of marketing, told the Washington Post. 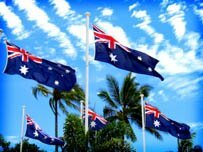 The Australian launch of Xbox 360 managed to notch up sales of 30,000 units in its first four days according to analyst GFK. It's a good result for Microsoft, beating the numbers achieved by PSP during its launch last September (27,000). Tie-ratio came in at 2.6. Xbox 360 launched in Australia March 23. The Brazilian economy is about to get another boost from Intel, which decided--through its venture capital arm, Intel Capital--to invest another US$50 million in the nation's business ventures.The chip giant has already put $35 million of venture funds into start-ups in Brazil, helping to fund companies such as Digitron, TelecomNet, and Certsign. This additional money is going to be invested specifically in wireless technology start-ups, however. As a way of encouraging this investment, Intel CEO Paul Otellini is currently attending a number of meetings in the nation.Intel is one of the largest venture capitalist companies in the world--if not the largest--regarding funding developing nations. These include Brazil, Russia, India, and China, which make up the BRIC powers--meaning they are seen as the fastest developing nations of the world. The main aim of Intel's investments at the moment is to help create new products and increase the demand for computers, therefore indirectly increasing the need for the chips the company sells. Lifehacker writes, HotelChatter has done some nice research into the best and worst hotels around for WiFi. This year, our Hotel WiFi report is all about how well a hotel’s WiFi network works, how the hotels service and support that network, and how conducive these hotels are to what we will call a “WiFi Friendly” environment. That’s right, in 06 hotels have to have a certain wireless je ne sais quoi to make this list. 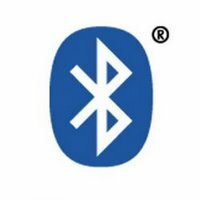 Bluetooth set to replace Wi-Fi at home? The worlds big electronic players have just finished discussing the future of digital media streaming and theyve apparently earmarked Bluetooth as the answer. We might be used to using the wireless networking technology to exchange amusing pictures on our mobile phones, but by 2008 we should be seeing devices loaded with an ultra-fast version of Bluetooth capable of streaming high quality audio and video. Using Ultra Wideband radio technology, this new fangled version will be able to transfer data at speeds of 100 megabits per second around 100 times faster than the current incarnation used on phones and laptops. 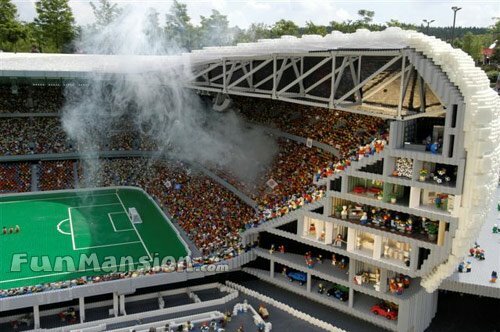 It will also have a range of around 50 feet, as opposed to the 30 foot range it has now. High quality video requires speeds of something like 10 megabits per second, so we could well have Bluetooth-enabled central hubs pinging Hi-Def TV shows and movies to different screens around the home. Quite a departure from using it to send your mate the latest Crazy Frog ringtone. 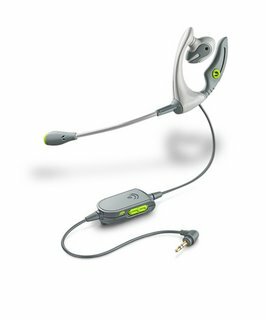 Plantronics, Inc. today unveiled three new gaming headsets for the Xbox 360 and Xbox. Headlined by the new GameCom X30 and GameCom X20, the headsets feature hot new designs, wearing styles and crystal-clear audio to help Xbox Live users shift online gaming into overdrive during stealth missions, fourth-quarter Superbowl drives or full-blown shooter fests. The GameCom X30 and GameCom X20 reflect Xbox 360 coloring and incorporate single-ear designs that allow gamers to be fully engaged in online battles while talking offline with others in the room. Both of the headsets are ultra-light and discreet, and boast supple, ear-melding designs that provide comfort for all-night gaming. The new GameCom X10 includes over-the-head styling and traditional Xbox colors. All of the new headsets feature noise-canceling mics to reduce background noise and ensure friends or foes on the other end hear every word. The headsets also feature inline volume and mute controls to put gamers in the driver’s seat. 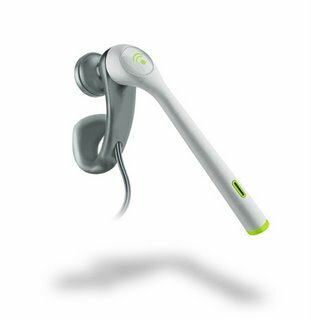 You can check out more details on the Xbox 360 headsets by clicking the links below to EBGames. Crewmembers aboard the International Space Station will have a rare opportunity to witness the Moon’s shadow racing across the face of the Earth during a total solar eclipse Wednesday. The eclipse will be carried live on the Internet via NASA TV starting at 5 a.m. ET Wednesday. The ISS will not be in the direct path of the eclipse, so they won’t see the Sun totally blocked by the Moon. But NASA astronaut Bill McArthur and Russian cosmonaut Valery Tokarev will have a clear view of the event from their orbital perch, NASA spokesperson Kylie Clem told SPACE.com. The ISS will be over the Mediterranean Sea and near the African Coast when the total eclipse occurs. Total eclipse on March 29: Look, up in the sky. 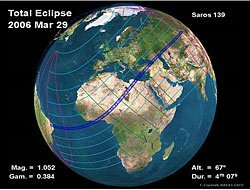 If you're chillin in Ghana, Togo, Libya, or Kazakhstan tomorrow -- lift your eyes towards the sky, a total eclipse of the Sun will be visible from within a narrow corridor that traces half the earth. 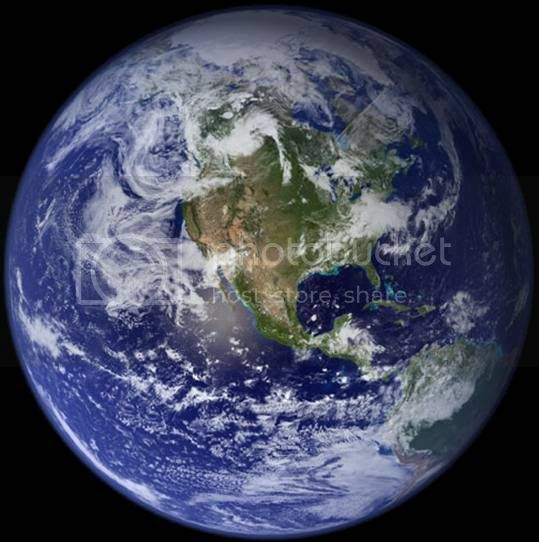 Link to NASA info. Is Facebook Worth $2 Billion? Facebook the widely popular online directory that connects people through social networks at schools is selling for $2 billion. It seems a big amount but looking at how many of my friends use Facebook on daily basis, I think its all worth it. It provides a neat interface as well as tools to connect with students at different schools. BW Online is reporting that the Facebook is trying to sell itself for $2 billion. That sort of wishful accounting makes Ruoert Murdoch seem like a penny pincher for paying only $580 million for the much larger MySpace. Open source company JBoss Inc. added messaging projects for service-oriented architecture (SOA) on Monday in an effort to boost the company's JBoss Enterprise Middleware Suite (JEMS) into the enterprise market. JBoss Messaging, a standards-based messaging platform, aims to help enterprises communicate via computers. JBoss Web Server provides Web server capabilities for Apache Tomcat and JBoss Application users. Both software infrastructures are aimed at customers who want to create applications. JBoss Messaging and JBoss Web Server are free to download under the Lesser General Public License (LGPL), and are alternatives to middleware offered by BEA Systems Inc. and IBM Corp.
JBoss Messaging 1.0 uses messaging core capable of supporting large SOAs, enterprise service buses (ESB) and other integration needs ranging from simple to sophisticated networks, the company said. Since the software is free, revenue will come from subscription services, such as training, consulting and support, said Shaun Connolly, vice president of product management at JBoss. "Previously that middleware function was built into our applications server," he said. "Unlike proprietary vendors that package functions into a black box, our approach is to provide functions in a plug-and-play fashion to let companies mix and match." Although JBoss Messaging and JBoss Web Server are new, Connolly boosts approximately 300,000 downloads monthly for the complete JBoss Enterprise Middleware Suite, about 10 products. As for Messaging 1.0, the software is compatible with Java Message Service (JMS) 1.1 and 1.0.2b standards. The software includes a messaging core that supports transactional ACID semantics, generalized message and other protocols. It allows JMS clients to connect to a JBoss server to send and receive messages. JBoss Web Server 1.0 provides enterprises with one deployment platform for Java Server Pages (JSP) and Java Servlet technologies, Microsoft ASP.NET, PHP and CGI. It incorporates open source technologies for processing high-volumes of data, as well as support for Java Enterprise Edition (EE) specifications. Built on the Apache Tomcat container for Java Server Pages (JSP) and Java Servlets, JBoss Web can handle more than 10,000 concurrent connections. A preview version of Web Server, JBoss Web 1.0, is available today. JBoss will release a production version in June. Other products are on the way as JBoss makes it way to an initial public offering (IPO) "when the market is right," perhaps within the next 18 months, Connolly said. As for the "rumors" that JBoss will one day belong to Oracle Corp., Connolly said "Don't believe what you read. The market wants another open-source applications vendor." The Inquirer reports, a team of hackers admitted that their XBox360 hack was not really practical, another team has said that it is closer to a practical solution. The group’s hack works by hooking up to your PC drive and flashing it over the S=ATA bus. True you need a custom connector, because Vole uses a lot of proprietary stuff, but it is a step closer to the XBox360 being wide open, the group claims. Cisco Systems has revealed a strategy for its emerging markets, saying it sees opportunities to be part of the economic and technological transition of developing countries. Delivering the keynote address at the start of Cisco's Networkers 2006 conference at Sun City yesterday, Cisco emerging markets president Paul Mountford outlined the importance of developing markets to the company. These markets, comprising 129 countries, hold 79% of the world's oil reserves, 87% of the world's gas, 75% of copper, 77% of gold and 88% of platinum, he said. Furthermore, Mountford noted, these developing markets attract about $87 million in foreign direct investment and have shown a 5% to 9% GDP growth during the last three years. 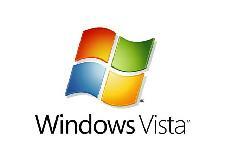 Microsoft's delay of its Windows Vista operating system won't affect PC shipments, which are expected to grow at slightly more then 10 percent a year over the next several years, according to a report released Monday by IDC. And, while the delay in Vista for its mainstream consumer business is expected to negatively impact sales around the holiday season, Loren Loverde, director of IDC's Worldwide Quarterly PC Tracker, said he expects PC manufacturers and retailers to introduce offers and promotions to help stimulate sales. "I suspect they will come out with some offers -- maybe free upgrades for Vista," said Loverde in an interview. "They aren't going to let the fourth quarter marketing opportunity [get away.]" The market research firm said it expects PC shipments, which had been growing 15 percent annually over the past two years, to slow to 10 percent while actual value of the shipments are likely to weigh in under 5 percent. "Some consumers will certainly delay PC purchases until Vista is available, but we expect the delay to shift only moderate volume from the fourth quarter of 2006 into 2007 and will not cause a loss of sales," Loverde said. "The timing of the release will have some impact on when consumers buy, but not so much on whether or not they buy." A Lehman Brothers Inc. report released last week predicted that PC shipments would suffer in the wake of Vista's delay. At least one chip executive forsees the new operating system driving NAND flash memory sales in the PC, rapidly increasing demand for the non-volatile memory. Asked if he detects a PC Holy Grail in the form of a "killer ap" that could boom sales, Loverde said he hasn't sighted any, but he and colleague Richard Shim, senior research analyst of Personal Computing at IDC, note that ongoing PC improvements taken together help spur new sales. They cited improving display and battery technology for portables as well as faster clock speeds and even improved voice recognition technology as helping sales. Loverde doubts Microsoft's delay of its Office 2007 will have much impact on PC sales either, although he said he imagines some users who like factory-installed software will hold out for the availability of Office 2007 next January. As for the U.S. market, Shim, in a statement Shim: "The prevailing wind driving U. S. PC market growth continues to be consumers and the passage of desktops to portables as their dominant computing platform." Bernard Golden of SearchOpenSource.com writes with Xen "I can use Linux as my main operating environment and still have the option of Windows available to run applications not yet ported to Linux." A list of the true 15 Skylines through out the world. I have had to throw out several locks because I have lost the combination. I recently found a lock and I really hate to throw these things out, and I'm sure you do to (since you're reading this). I have read many places online that this is completely impossible, but it's not. It takes a little math, a lot of brute forcing, and some thinking. Billed as giving you "more of what you want, less of what you don't," Yahoo! 's Plus service was meant to offer users a number of extra features over and above what its free accounts had to offer. Those features included better online protection through anti-virus, spam filtering, pop-up blocking, firewall, and parental controls. The e-mail storage offered went up to 2 GB, with 10 sub-accounts, POP forwarding, and unlimited photo storage. Entertainment was offered in the form of ad-free online radio, music videos on demand, TV and movie exclusives, and access to a games service. Finally, the service also offered a personalized home page and browser, along with an additional 100 MB of online storage. All this at a cost of US$5.95 a month or $47.40 a year.Yahoo! has now decided to drop the Plus service completely as of April 22 without any reason being given. Monthly subscribers will not be given any compensation but those who pay yearly will get a pro-rated refund. Most of us are locked into contracts, but if you're shopping around for the best deals for the most minutes at the lowest costs, take a look at what T-Mobile and Cingular are offering. Recently, they've been trying to one-up the other with new deals. 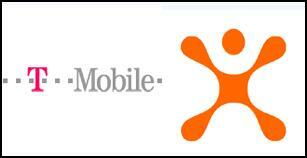 Cingular has a plan offering 1000 minutes for $40. T-Mobile has just reintroduced a plan from around Christmas that offers 1,500 minutes for $40. Both plans come with various restrictions, so check out the details like mobile-to-mobile costs, nights and weekends. HotelChatter has posted its latest annual roundup of the best hotel WiFi in the world. Kimpton Hotels: Kimpton once again tops the list as the undisputed hotel WiFi kings. The brand improved their now legendary free WiFi service in the last couple of years, by extending their fast, reliable WiFi network to your upstairs room, at many hotels. Kimpton doesn't count on their lobby WiFi network to reach the top floors of their buildings, instead, at the hotels we visited, Kimpton actually had two separate WiFi networks--one for the lobby and the other for the guest rooms. Both networks are easily accessible by clicking on a standard terms and conditions. Kimpton Hotels tend to appeal to business travelers, hip leisure travelers, and globe-trotting bloggers. Microsoft is close to acquiring Lionhead Studios, the developer helmed by industry legend Peter Molyneux and responsible for Fable on Xbox, according to rumours screaming out of the Games Developers Conference. The speculation seems to have exploded after Molyneux failed to show up for a panel discussion at the GDC, which came to and end last week in San Jose. The buzz amongst attendees of the show is that Molyneux was catching the first flight back to Blighty – so he could sign on the dotted line with Microsoft. And quoting ‘well-placed sources’, industry website GamesIndustry.biz is reporting that Microsoft has outbid rival games publisher Ubisoft for Lionhead. An announcement is expected within the next few days, according to GI.biz. A very informative guide on creating a Terabyte Server for just $500. Several companies offer ready-made, terabyte-class special-purpose NAS (network-attached storage) devices, and for some circumstances they're nearly ideal. For example, Buffalo Technology offers a NAS device with 1 Tbyte of storage that normally lists for around $1,400. 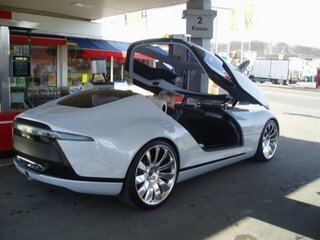 With careful shopping, you can find it for much less; as of this writing, the best price I could find on Froogle.com was $750. (It's possible to find even lower prices from time to time in one-off sales such as eBay auctions, but for the purposes of this article we'll be looking at normal retail channels.) This kind of NAS is more or less plug-and-play, but focuses on one function only: adding storage. Microsoft is applying some hard-earned lessons to its next wave of ERP products. For example, its next release of Navision—now Dynamics NAV in Microsoft parlance--will sport a "breadcrumb" feature to help users retrace their steps in the course of their computing. "In CRM we learned you could quickly get into a situation where you'd opened up a lot of pages and it was hard to traverse back, the breadcrumb bar will make for easier rewinds and re-tracks," Satya Nadella, corporate vice president Microsoft Business Division told a group of reporters and analysts Sunday at Convergence 2006 in Dallas. Since Xbox Live’s online gaming network launched in November 2002, gamers have spent over 1.5 billion hours on the network playing games online with their friends around the world. This is equal to 65 million days of gaming or close to 200,000 years. With our top title, Halo 2, which is being played on both the Xbox and Xbox 360, gamers have spent over 500 million hours playing online. Today over half of all Xbox 360 consoles sold worldwide are already connected to Xbox Live. This is a significant leap over the nearly-one-in-10 consoles that were connected to Xbox Live on the first generation of Xbox. Not only are the majority of our owners connected, but they are also spending more time connected to the Xbox Live community on Xbox 360 than ever before. The average number of gaming sessions on Xbox Live on Xbox 360 is currently at 25-a-week, which is up dramatically from the average of 6 sessions-a-week we saw on the original Xbox. Xbox Live on Xbox 360 continues to grow as a social community; we are seeing an average of 600,000 text messages sent every day between members on the service. UNEASYsilence has posted a video tutorial for installing Windows XP on an Intel Mac. Apparently it is not a good idea to do stand-up comedy at Apple. An Apple customer service representative shows what he feels led to his dismissal. In 2002, Steve Jobs said, "If you legally acquire music, you need to have the right to manage it on all other devices that you own." In 2006, France said, "The consumer must be able to listen to the music they have bought on no matter what platform." An employee who has worked at Yahoo! Finance since 1999 shares his opinion on the newly released Google Finance. - "It makes me sad because virtually all of the new/innovative/cool features in Google Finance are things we talked about YEARS ago. Many of them I'd lobbied for repeatedly. Some were even prototyped." With blazing dual-core performance and a bright 17-inch display, the Dell Inspriron E1705 is a Media Center powerhouse. 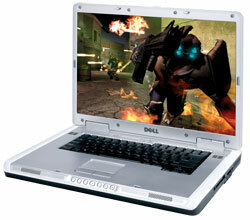 Those looking for a big-screen screamer need look no further than the Dell E1705, which sports a 17-inch TrueLife display that’s ideal for playing games and watching DVDs. Under the hood is Intel’s blazing 2-GHz Core Duo processor, plus Nvidia’s GeForce Go 7800 graphics for serious graphics horsepower. Dell satisfies multimedia fans in other ways by integrating both its Dell Media Direct technology and the Windows Media Center operating system. The former allows users to enjoy movies, photos, and music without booting up. It recognizes files stored on the hard drive, optical drive, 5-in-1 memory card reader, or even a USB key. Keep in mind that you can’t play licensed content in this mode, such as music purchased from Napster. When it comes to performance, the Inspiron E1705 more than satisfies. It turned in a remarkable MobileMark 2005 score of 251 and blazing 3DMark03 score of 9,298. It’s not as fast as the XPS M170, but you should be able to play any demanding title like F.E.A.R. at the highest resolution without a problem on this system. The battery runtime of 2 hours and 33 minutes isn’t bad considering the speed and size of this notebook. Other than the lack of a numeric keypad to the right of the keyboard (even though there’s room for one) and the fact that the underside of this notebook runs a bit hot, the E1705 is an ideal desktop replacement. Mindstorms has just released a lie-detecting device called the Galvanic Skin Response Sensor. Does the name of the gadget sound intimidating? If so, all that fades away once you see its 'packaging'. The Galvanic Skin Response Sensor works by determining the amount of sweat in your hands and measure its resistance to electricity. You don’t have to worry about getting fried though. The device runs on batteries and not on AC. So I guess you’ll have to worry more on being grilled by the interrogator. The unit functions on the premise that people sweat more when they tell false tales. Conversely, you’ll have dry hands for sure when you’re telling the truth or when you’re not stressed out. I guess anti-sweat rolls have some other use after all. While the idea of being grilled for your past (and present) sins is terrifying, the device is actually encased in a playful package that resembles a typical LEGO block. But its appeal to 3 year olds ends there.The unit is actually made up of aluminum foil velcro strips. These strips are then connected to an RCX control brick via a 9V wire. 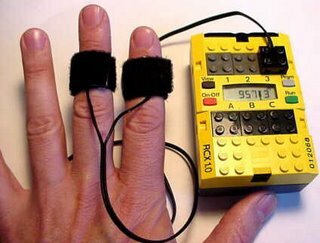 While this may not actually be the lie detector that FBI agents have in mind, Mindstorms' Galvanic Skin Response Sensor is perfect for the budding sleuth with a budding budget. I ave been using the Bluetake BT430Tx and i-PHONO mini headphones with my Sony PSP for wireless audio and have been fairly happy with the setup. The transmitter is a bit cumbersome to use when playing games, and Chris just let me know that Bluetake will soon have the BT450Px available for the Sony PSP. Online retailers look to have it available for pre-order for about US$55. This new Bluetooth stereo transmitter has a very slim form factor that snaps right onto the bottom of your PSP and gives you an A2DP Bluetooth profile. I can't wait to try this on my PSP and watch movies and play games with wireless audio. 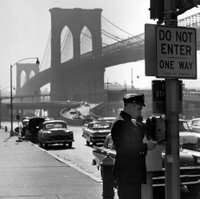 In a dank and dingy vault underneath the Brooklyn Bridge, a routine structural inspection last week unearthed a veritable Cold War time capsule, city officials announced this week. The New York City bunker is stockpiled with decades-old provisions that were meant to be used after a nuclear attack. City inspectors were astonished to find water containers, medical supplies, and hundreds of thousands of calorie-packed crackers. 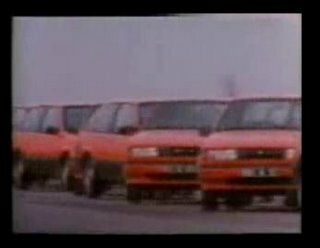 This is actually a combination of several ads for the 1985-1989 Isuzu Gemini that are put together. The talent it takes to perform some of the driving is phenomenal. Click on the offending track and press Ctrl+I (or Cmd+I if you’re on a Mac). When the song properties window appears, click on the “Options” tab and then slide the volume adjustment to the right. Test out your track’s new volume level and if necessary, go back and re-adjust the slider. When you click OK, iTunes will save the volume adjustment level and your previously troublesome track will playback at a more acceptable volume. Courtney, a graphics artist, like to use Altoid cases to hold extra X-Acto blades. But now she has created her very own Altoid case from an old iPod Shuffle. You can also find instructions on how to make this one of a kind case. The unpatched CreateTextRange vulnerability in Internet Explorer is already being used by at least one Web site to install spyware on users' machines, a security organization said Friday. "We just received a report that a particular site uses the vulnerability to install a spybot variant," the SANS Institute's Internet Storm Center (ISC) warned Friday in an alert. "It is a minor site with insignificant visitor numbers according to Netcraft's 'Site rank.'" Disclosed only Wednesday, the flaw in IE 5.01, 6.0, and the January version of IE 7 Beta 2 Preview has security vendors worried because a patch isn't available from Microsoft. Thursday, as news circulated that a working exploit had been publicly posted, Microsoft said it was working on a fix. Even before the site exploiting the CreateTextRange bug was discovered, security companies had raised alarms. The ISC bumped up its InfoCON level to "yellow" for the first time since the Windows Metafile fiasco in late December, when another "zero-day" flaw hit Windows users. "It's a relatively trivial mod[ification] to turn [the exploit] into something more destructive," the ISC warned. "For that reason, we're raising Infocon to yellow for the next 24 hours." Symantec raised its ThreatCon status indicator to "2" and boosted its Internet Threat Meter's warning for Web activities to "medium" because of the bug. Although it's unclear exactly whether the Spybot-distributing site is drawing users to its poison or simply waiting for the unwary to stumble across the URL, it's likely the former, Scott Carpenter, director of security at Secure Elements, said in an e-mail to TechWeb. "The most probable vector for this worm will be in the form of spam with malicious links that will tempt users into clicking on a link that takes them to a malicious site." In December (and after), hundreds of sites used the Windows Metafile bug to load spyware, including keyloggers and backdoor Trojans, onto unsuspecting users' PCs. Rumors that Microsoft would release a patch before April 11, the next regularly-scheduled patch day -- such releases are dubbed "out-of-cycle" -- was quashed by a Microsoft spokesman who refused to commit the company to a date. "Upon completion of this investigation, Microsoft will take appropriate action to help protect our customers," he said in a verbatim repeat of Thursday's advisory. "This will either take the form of a security update through our monthly release process or providing an out-of-cycle security update, depending on customer needs." So, what should users expect, say, over the weekend and early next week? "It's hard to say at the moment, since this is just the beginning," said Alain Sergile, a technical product manager at Internet Security Systems' X-Force research. "But if SANS' report is accurate, I think we'll see additional targeted attacks where spam is sent to users at a specific organization in the hope that someone clicks on the link and downloads the malicious code so the attacker can infiltrate the network." Because it remains an unpatched vulnerability, "everyone should consider this a zero-day kind of threat," added Sergile. "That means people will be caught flat footed." Microsoft has recommended that users disable Active Scripting in IE until a patch is posted, but Sergile said that wasn't really a workable solution. "That will kill the capability of a large number of Web sites. The Web isn't much fun without those [scripting] capabilities." Instead, he recommended users visit only sites they know are safe. Or turn to another browser. "The problem is in how Internet Explorer interprets the scripting call. Firefox doesn't have this problem." "Yesterday, Microsoft Corp. confirmed the timeline for release and availability of its 2007 Microsoft Office system. The company remains on track to complete work on the 2007 Microsoft Office system in October of this year and is planning to make the product available to the business customers through the volume licensing program in October 2006. 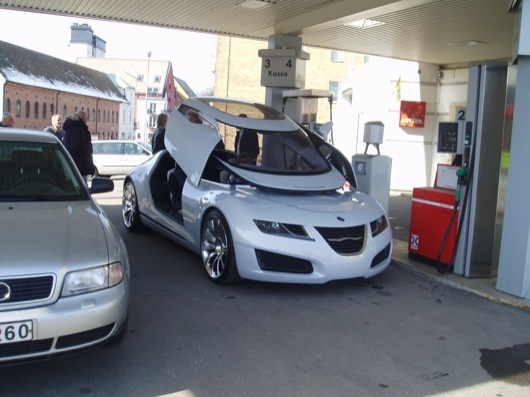 Retail and OEM availability of the product are scheduled to coincide with the retail and OEM availability of the Windows Vista operating system in January 2007." Odds are good that most of you use some version of Microsoft Office - so here's a little public service announcement: both Windows Vista and Office 2007 can be expected in January 2007. Looking around the Palm site following their recent Q3 results (ended March 3 2006), I bumped into this rather nice offer. 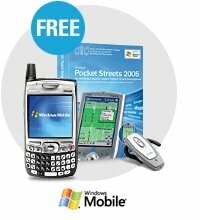 Buy a Treo 700w and receive a Palm Wireless Headset ($79 value) and Microsoft Pocket Streets ($24.95 value) for FREE! I know everyone likes that word FREE! Palm, must be feeling flush. And why not -- they just announced Treo shipments doubled from a year ago to 564,000 units and their Q3 profits jumped sixfold while sales climbed 36% to $388.5 million. And I wonder what happened in that quarter to create such a surge in sales? Oh yes! 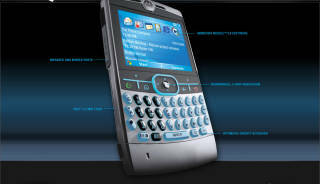 They released the Windows Mobile OS on their popular Treo form-factor. This offer ends March 31, 2006 at 9 p.m. EST and is valid for U.S. and Canadian residents only who buy directly from their website. Click here to read the entire offer. Intel recently launched the Pentium Extreme Edition 965, likely the last Extreme Edition upgrade before the introduction of processors based on the new next-generation micro-architecture. The new chip is a dual-core (also called double-core) Presler processor based on Intel's 65 nm process technology. Armed with 2 MB of on-die cache in each core, the new EE 965 is clocked at 3.73GHz and interfaces with a 1,066MHz FSB. Capable of executing four threads at a time, the new chip also hosts Intel's virtualization (VT) feature, enabling high performance platforms running multiple environments or operating systems. Like all the previous EE versions, the new 965 can be yours for an Extreme price that will likely limit the chip to a niche market of gamers and enthusiasts willing to shell out top dollar for every ounce of performance. Of course, we Geeks know many of "those people" all too well. For more information, visit ExtremeTech, and check out Intel's Extreme Edition spec page. Spare ethernet cable, creativity and a bit of extra time on your hands can be an interesting combination. 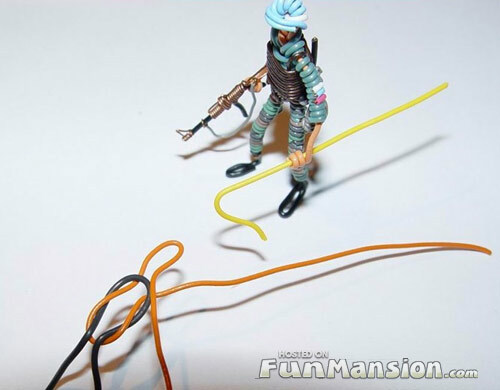 Check out the little military figures this guy made out of some spare cable! Motorola Q - April or "Coming Soon"
Engadget has picked up from QUsers.com that we could be close to Q availability. However, a Motorola press release says The Moto Q is expected to be available in Q1 of 2006. The updated Qusers.com page sites: "UPDATE: Page changed to reflect "Coming Soon" instead of "Available April 2006"
A Motorola promo page says: "Available April 2006." And of course we know that Motorola CEO Edward Zander wants to follow Apple announcement policy - no announcements until the product is available. Not a bad idea seeing as the Q has been announced for almost a year now.So, basically, it's coming... soon. But will Verizon get a six month exclusive? But wait, there's more! If you want, Motorola is creating a "Q Update" list. You can register for that, here. To read more about this very cool phone, click here. Set to debut with Nintendo’s next-generation game console, currently code-named Revolution, the Virtual Console will act as an emulator for classic games developed by Nintendo, Sega, NEC/Hudson, and third-parties. Contrasting with GameTap, which allows Windows PC users to download games, the emulated titles will be playable only on Nintendo’s new machine, similar to Apple’s initial launch of the iPod as a device only for Macintosh users. PayPal now seems to have PayPal mobile up and running. If you log into your PayPal account and search the help docs for "paypal mobile", you will find all the info on it. When I tried to enable PayPal Mobile on my phone, the link lead me to the home page and no more information was given. Looks like they are close, very close. What is PayPal mobile and how does it work? You can use your mobile phone to securely send money and make payments within the U.S. and Canada. To use PayPal mobile, you must activate your mobile phone. Activating your phone requires setting a secure mobile PIN and confirming phone ownership. Activate your phone now. You can send your payment either through text message to the PayPal mobile short code 729725 (PAYPAL) or by calling the automated voice system at 1-800-4PAYPAL. Is there a fee to use PayPal mobile? PayPal does not charge fees to send mobile payments, and PayPal does not charge premium text messaging fees. Your phone carrier may charge you for any text messages or airtime minutes. Please check with your phone carrier to confirm what fees apply for text messages and phone calls. Premier and Business account holders are charged for receiving payments. See fees for receiving funds. 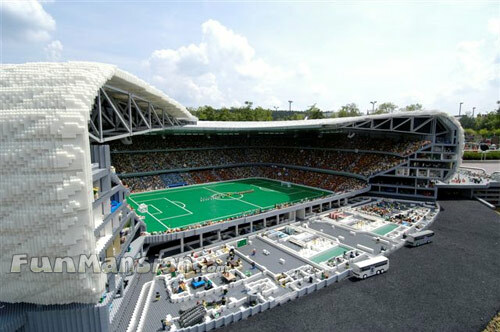 So much time, effort, and money goes into making an awesome Lego Arena like this, but in the end when you look at the big picture it's all worth it. IBM Corp. researchers are working to build faster PCs and more reliable electronics, a company research scientist said. The company reported Friday it has built the first complete electronic integrated circuit around one "carbon nanotube" molecule, a new material that IBM hopes will enhance performance on products from computers to diagnostic equipment. Nanotechnology is being explored by many companies as a means to keep innovation moving forward. The technology aims to improve product reliability in devices from personal computers to instrumentation for space exploration. "Technology improves at a certain rate and some people say at today's pace, technology we will see limitations within the next 10 years," said Kimberly Allen, director of display technology and strategy at iSuppli Corp. "If we can find an alternative, improvements would continue rather than slowdown." Today's PC chips operate at speeds of a couple of gigahertz. "The circuit we fabricated on one nanotube is 50 megahertz, which is substantially less," said Joerg Appenzeller, research member at the IBM TJ Watson Research Center in Yorktown Heights, N.Y. "Ultimately, we believe it will be much faster than silicon. In the last five years we've manage to ramp up from a couple of hundred hertz to this 50 megahertz." Although far from its ultimate goal, IBM said development remains on track. The promising news: "we don't see a show stopper," Appenzeller said. While chip have not reached speeds similar to silicon, Appenzeller believes carbon nanotube will advance well beyond silicon's capabilities. "The results will be smaller, faster, less expensive products over time, though very expensive in the beginning because it's an emerging technology," said Mark DeVoss, senior analyst for flash memory and emerging technology at iSuppli Corp. "The technology is still 10 to 15 years out. 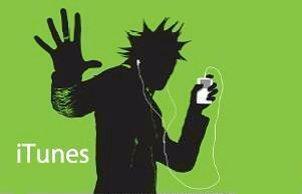 It's not in the next Apple iPod." DeVoss said carbon nanotube is one of many technologies being explored by companies and universities. Nantero Inc., a nanotechnology company, for example, continues to explore carbon nanotubes for next-generation semiconductor devices, such as memory. The circuit built by the IBM team was a ring oscillator, a circuit chip makers typically build to evaluate new manufacturing processes or materials. The circuit stresses certain properties that gives an indication of how new technologies will perform when used to build complete chips. IBM noted the development as significant because the circuit was built using standard semiconductor processes and used a single molecule as the base for all components in the circuit, rather than linking together individually constructed components. This can simplify manufacturing and provide consistency to test and adjust materials in these applications. Red is Verizon, blue AT&T, yellow Qwest, green is other backbone players like Level 3 & Sprint Nextel, black is the entire cable industry put togethe, & gray is everyone else, from small telecommunications companies to large international players who only have a small presence in the U.S.
Link to PDF (1.1MB) , and link to related post on CIO.com blog. Nokia 6131, showed last month at 3GSM in Barcelona and Nokia 6133, have both been approved by FCC (Federal Communications Commission). The 6131 model is identical with the 6133, apart from a small difference in the design. The 6133 redesigns the numeric keypad of the 6131, adding some metal trim. Each of the clamshell's weighs about 110 grams, including the battery and measure 92 x 48 x 20 mm. They feature a 1 megapixel digital camera, a QVGA 16 million colors display with 240 x 320 pixel resolution, microSD memory expansion, Internet browser, E-Mail client, Bluetooth, Infrared, and USB connectivity. 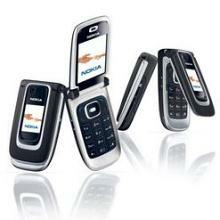 Both quad-band GSM (850, 900, 1800 and 1900 MHz) phones feature GPRS and EDGE support. As for the entertainment options, the handsets contain Visual Radio, FM stereo and a digital music player supporting MP3/AAC playback. The mid-range phones aimed at the masses will most likely be available in the next quarter, for about 275 Euros. As ify as the news sounds it comes from an Australian News site that claims that the "Microsoft Insider" source told them that up to 60% of the oft-delayed Windows Vista's code will have to be rewritten over the next several months. Moreover additional members from the Xbox team have been pulled in to complete this project as the OS will be unveiled at the next years CES which takes place in early January. More @ Vista getting 60% code rewrite? The Federal Trade Commission on Thursday nailed a spammer with a record-setting $900,000 fine for violating the CAN-SPAM Act. According to a complaint filed by the FTC, JumpStart Technologies of San Francisco, Calif. has spammed consumers since 2002, sending millions of messages disguised as personal e-mails in an attempt to hype its FreeFlixTix Web site. JumpStart, charged the FTC, collected e-mail addresses by offering free movie tickets to consumers in exchange for ratting out the names and e-mail addresses of five or more of friends. JumpStart then sent those friends messages with the rat's e-mail address in the "From:" line and a personal Subject: such as "Hey," "Happy Valentine’s Day," or "Invite." The spammer turned to such underhanded tactics, the FTC said, to slip mail by anti-spam filters and get recipients to open and read its messages. "[JumpStart] intentionally used personal messages as a cover-up," said Lydia Parnes, the director of the FTC's consumer protection division, in a statement. "Deceptive subject lines and headers not only violate the CAN-SPAM Act, but also consumer trust." The spam scam also misled consumers who took the bait and went to FreeFlixTix, with some of the "free" ticket offers requiring credit card registration that in many cases resulted in charges made to the account. JumpStart's FreeFlixTix site is now offline. Although the fine is dwarfed by rulings in other jurisdictions -- in October 2005, for example, a Boston judge levied a $37 million fine against a spam gangster -- the $900,000 is the most ever actually collected from a spammer. Socializer allows you to bookmark to multiple sites with one click. 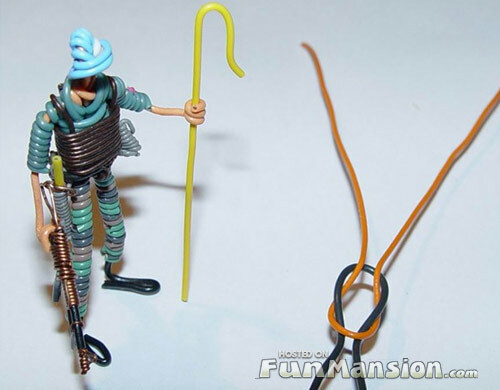 The Socializer allows you to easily submit a link to several social bookmarking systems. Instead of having a link to each social bookmarking website, you have a single link to all of them! New York Attorney General Eliot Spitzer is not a stranger when it comes to cracking down on businesses engaged in criminal activities on the Internet. Spitzer's latest target has become Washington, DC-based Gratis. Gratis operates websites that offer ways to receive free products; including FreeiPods.com, FreeCDs.com, FreeDVDs.com, and FreeVideoGames.com. The company is accused of violating pledges of privacy it made to users registering with the website between 2000 and 2004. Those pledges included the protection of the e-mail addresses of users. Unfortunately, it seems those pledges weren't heartfelt, according to Spitzer. The owners of Gratis are accused of selling customer lists to three independent e-mail marketers. Read more from the New York Attorney General's website. MSN is holding a "Search and Win" contest. As the title suggests, all you need to do is search for a term, e.g. "Xbox 360" and then see if you've won. The site uses the MSN Search engine to grab the results, and all you need to do is input your search term like normal, and then click the "MSN SEARCH & WIN" link in the results to see if you have instantly won that prize. Apart from Xbox 360's up for grabs, there is also a number of other prizes ranging from gift certificates, to sporting goods and baby items. The U.S. government is backing Apple in the company’s protest against a French law that would force it to open up its FairPlay digital rights management technology. Speaking on CNBC, U.S. Commerce Secretary Carlos Gutierrez said Apple needs to protect its intellectual property. “Any time something like this happens, any time that we believe that intellectual property rights are being violated, we need to speak up and in this case, the company is taking the initiative,” he said. An exploit for a new zero-day bug in Internet Explorer appeared Thursday, causing security companies to ring alarms and Microsoft to issue a security advisory that promised it would patch the problem. Just a day after anti-virus vendors warned of a new zero-day vulnerability in Internet Explorer – the second such alert since Friday -- companies including Symantec and Secunia boosted security levels as news of a public exploit spread. Although the publicly-posted exploit only launches a copy of the Windows calculator, "replacing the shellcode in this exploit would be trivial even for an unskilled attacker," Symantec continued. Danish vulnerability tracker Secunia, which Wednesday had tagged the bug as "highly critical," raised the bar to its highest-possible "extremely critical" rating. Microsoft confirmed the severity of the bug and the success of the exploit in its own advisory, issued late Thursday. "Based on our investigation, this vulnerability could allow an attacker to execute arbitrary code on the user's system in the security context of the logged-on user," the Microsoft warning went. Microsoft repeated a Wednesday promise to patch the bug, but still did not set a timetable. In rare cases, Microsoft has gone out-of-cycle to patch -- the most recent was early January -- but the company didn't promise that it would fix the flaw before the next scheduled date of April 11. The published exploit could be used by attackers to add compromising code to malicious Web sites that would hijack PCs running IE 5.01, 6.0, and even the first iteration of IE 7 Beta 2 Preview. Microsoft tried to downplay the danger by noting that users would have to be drawn to the malicious site, but that limitation has proved easy for hackers to hurdle. 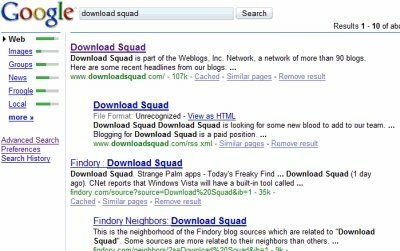 In December 2005, for instance, hundreds of sites compromised thousands of PCs using a different vulnerability to install spyware secretly in so-called "drive-by downloads." Another attack angle, Microsoft said, could be Web advertisements. "It could also be possible to display specially crafted Web content by using banner advertisements," the advisory read. While he expects new products soon, UBS analyst Benjamin A. Reitzes believes Apple will not be holding a special event around April 1 to mark its 30th anniversary. The man in charge of Xbox 360 drops more hints about Master Chief’s next-gen debut. Halo 3 will be revealed sometime before the end of 2006 and could make an appearance at the upcoming E3, according to Xbox 360 boss Peter Moore. One of the most sophisticated bot Trojans ever has been infecting machines for months, a security company revealed Wednesday, and has compromised an estimated one million PCs in an ongoing effort to pillage personal bank accounts. According to Reston, Va.-based iDefense, multiple variants of a Trojan dubbed "MetaFisher," a.k.a. "Spy-Agent," has been spreading for months under the proverbial radar. "MetaFisher has compromised hundreds of thousands if not millions of accounts for financial fraud," said Ken Dunham, the director of iDefense's rapid response team. The Trojan's pitched the usual way -- via spammed e-mail that includes a link -- and uses the long-patched Windows Metafile (WMF) vulnerability to silently install via a drive-by download on machines whose users simply surf to these malicious sites. Once on a machine, the malware turns the PC into yet another "bot," or remotely-controlled computer. But Dunham, who called MetaFisher "the most sophisticated bot to date," said it has several unique technical tricks up its sleeves. MetaFisher uses HTML injection techniques to phish information from victims after they've logged into a targeted bank account, said Dunham, which lets attackers steal legitimate TAN numbers (one-time PINs used by some banks overseas) and passwords without having to draw them onto phony sites. Currently, MetaFisher is targeting Spanish, British, and German banks, and their customers. iDefense, said Dunham, broke the encryption used to disguise the traffic between bots and their controllers, and has monitored that back-and-forth for several weeks. It's passed along the information to its parent company VeriSign, which has been working on taking down the sites used to drive-by-download the Trojan. Increasingly, bots are being used by criminals to steal personal financial information using covert code and keyloggers. Last week, FaceTime, a Foster City, Calif. security company, disclosed details of a bot network, or botnet, that was exploiting vulnerabilities in back-end e-commerce shopping cart software to rip off consumers. Music phones are all well and good, allowing you to cast away your MP3 player and only carry a single gadget for both your communications and tune-jamming needs, but we all know how much of a battery drain listening to music can be on your mobile handset. NEC Electronics America has developed the single-chip uPD99910 audio processor, putting the CPU and DSP in a single unit dedicated to music playback, and in effect, adding an extra 50 hours of music playing goodness. This is said to be a ten-fold increase over what is currently plausible. The technology is designed to accompany an application processor, and by separating the music playing from the regular application processor, a smaller power draw is needed, while still being able to make use of the default user interface. The uPD99910 audio processor is capable of quickly and easily accessing the handset's internal flash memory, as well as expansion via SD. In addition to the latter is support for Content Protection for Recordable Media (CPRM), a form of DRM most likely without such juice sucking capabilities. DEARBORN - More than 120 people turned out for the inaugural meeting of Michigan Survives, a new organization that has been formed to help laid-off professionals in metro Detroit, and to show them that there is life after lay-off. As a transplant to Michigan, Adolph said she saw the need for an organization that could offer a network of resources for professionals who had lost their jobs through corporate downsizing, layoffs, company bankruptcies, and plant closings. She said that her experience has shown her that other cities such as Chicago, San Jose and New York have those kinds of associations where members and guests meet to network, share key information, and receive educational and functional support. After waiting four months after the US launch, gamers in Australia and New Zealand have finally got their chance with the Xbox 360. The console was made available in New Zealand only a few hours ago with numerous different retail stores holding launch parties. At 12:01 the consoles went on sale, and there was plenty of stock to go around. Many gamers simply turned up, waited in a line for 30 minutes and then went home to play it. This is in stark contrast to earlier launches in the US and around the world. The console should go on sale in Australia about now, with stores there holding launch parties too. 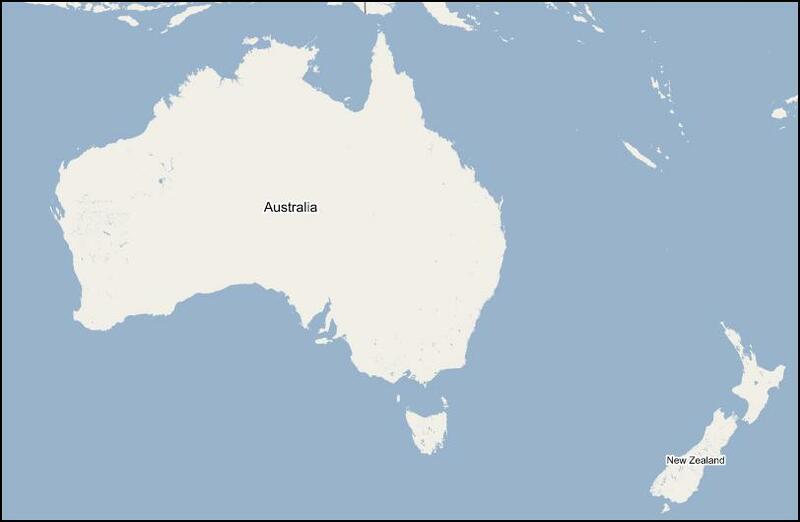 The release of the Xbox 360 in these regions brings a sort of finality to Microsoft's "worldwide" launch, and now with most gamers across the world having access to the console (or least starting to get access) we can only look forward to the popularity of the console increasing. The Xbox Team have officially responded to the recent Xbox 360 hacking developments via their blog. Disney CEO Bob Iger said Disney-owned television content has surpassed 4 million downloads on the iTunes Music Store since videos were added in October 2005. Disney content includes shows from ABC, the Disney Channel and ESPN/ABC Sports. “Technology has transformed authority from the distributor and creator to the consumer. Today’s consumer is more tech-savvy and governs how and when and at what price content is sent to them,” Iger said at his keynote speech Monday at the TelecomNext show in Las Vegas. Apple could be phasing out its current high-end iPod to make room for a new widescreen video iPod, according to American Technology Research analyst Shaw Wu. In a research note to clients, Wu said that Apple has notified its product distributors that the 60GB iPod is “at risk” until the end of April, which means the device could be discontinued or replaced. The analyst said he believes that a new widescreen video iPod with Bluetooth headphones could be introduced during Apple’s third quarter — April, May or June. The One Digital Life blog has posted a tutorial for using iTunes to incrementally backup your music library. The method is simple but clever. The author sets iTunes to burn data CDs or DVDs (iTunes automatically sets up multiple sessions if there’s not enough space on one disc), then sets a Smart Playlist to keep tracks of all music added to iTunes after the date of the last backup. Next time you decide to backup, you can simply burn your Smart Playlist. Yeah even celebrity's are feeling the buzz and are not able to stay away from GIANT Internet Search companies. 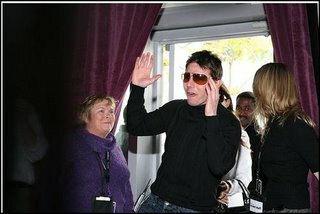 Recently Tom Cruise (along with Katie Holmes) visited Yahoo yesterday. Wow, what an awesome moment that would have been for the employees working there. 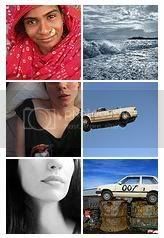 Here is evidence from flickr photos. Here is a Tom Cruise and South Park mashup related to the Scientology episode. The next big action movie, "Mission Impossible: 3" is taking a less traditional approach regarding releasing video games based on the movie. Rather than publishing a console game first, MI: 3 will instead first be released as a mobile video game. The mobile game of the movie is set to be released in conjunction with the May premiere. The move shows the opportunity many see within the mobile game industry. I have said it time and time again: everyone carries their cellphone, and everyone will eventually be in a situation where they need to kill some time. That's where mobile games come in. The opportunities for mobile entertainment on cellphones are endless. It just takes companies with vision. Clearly, Viacom Consumer Products has that vision.This is another nice little catch for Gameloft. The company apparently also landed a mobile game for "War of the Worlds" last year, which become one of the companys top sellers. This new mobile game based on "Mission Impossible: 3" has the chance to become another top game for the company. There were news spreading around the blogosphere as of late about the release of Microsoft's next OS Vista which would take place on November 2006, as good as this news sounds I was still skeptical about the release date, and after all now Microsoft has delayed the release of their next mostly awaited OS. Microsoft co-president Jim Allchin in a conference call said that the company decided to push back the release date of the consumer version of the operating system because computer manufacturers required more time to test and prepare their systems. Microsoft was confronted by quality issues that caused the release to be pushed back "a few weeks". This prompted manufacturers to ask the software vendor to delay the consumer to 2007 because they had insufficient time to test and prepare their systems for availability this calendar year. Yahoo Inc. on Tuesday said it is launching a service in the United States that lets people make phone calls through the company's instant messaging software. Available in several other countries since December, the service allows people to make calls from their computers for 2 cents a minute or less to the top 30 national phone markets, including the United States. The "Phone Out" service also allows calls from computers to regular phones at varying rates to a total of 180 countries. Using instant messaging for phone calls is one of the latest ways that technology companies are finding cheaper ways to allow people to talk all over the world without relying on traditional phone networks. "Right now the competition is just about cheap voice calls," Forrester Research analyst Maribel Lopez said. The move also attempts to undercut rates offered by Skype, a similar service offered by eBay Inc. .
Yahoo Messenger with Voice rates average between 20 percent and 30 percent lower than Skype to many major markets outside the United States, according to a comparison furnished by Yahoo. Tests in the initial five countries where the service launched proved more successful than anticipated, especially in France, said Yahoo Vice President of Communications Brad Garlinghouse, where strong demand for both Yahoo Phone In and Phone Out services occurred. Phone In allows customers to receive calls on their computers from regular and mobile phones for $2.99 a month, or $29.90 a year. Yahoo's service is one among a growing list of competitors, including Time Warner Inc.'s America Online as well as Microsoft Corp. . While initially the focus is on offering cheap phone calling for computer users, the battleground should quickly shift onto mobile and cordless phones, analysts said. Toward that end, Garlinghouse said Yahoo has struck phone partnerships with headset maker Plantronics , VTech <0303.hk>, a maker of USB handsets, and Siemens AG , a big maker of cordless phones. Attracting and retaining mobile phone customers also is something Yahoo, with its ties to major U.S. and U.K. carriers, could use to distinguish itself from Skype. "Realistically, most of the IM services all look the same right now," Lopez said. "A lot of it has to do with who do you have the relationship with, whatever IM you may have." But Garlinghouse stopped short of saying when Yahoo Messenger might feature on mobile phones: "We have not yet announced any relationships to Yahoo Messenger with Voice onto a mobile (phone)," he said. In response to consumer complaints, Yahoo has dropped X10, the previous provider of software used to control sound quality and has signed up Global IP Sound as a supplier instead. The move brings Yahoo's audio quality exactly in line with rivals AOL, Google and Skype who rely on Global IP Sound themselves. Yahoo has also added an unobtrusive advertisement at the bottom of the Yahoo Messenger window. 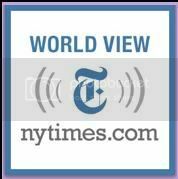 By contrast, America Online often features a blinking ad at the top of its AIM service. Microsoft Corp. today announced the broader availability of Xbox 360 consoles and their plans to distribute two to three times the current number of consoles weekly. "Today we have turned a major corner," said Peter Moore, corporate vice president of the Interactive Entertainment Business in the Entertainment and Devices Division at Microsoft. "With more consoles on their way to retail, 80 games available by June, and new content and experiences coming to Xbox Live all the time, there has never been a better time to own an Xbox 360." BIG B is back, awesome stuff!! Great short movie, get started create one yourself. Riya the next generation in photo search has gone live, well it's still in beta but one can still use the service just go ahead and sign up. Half-Life 2 Running on a MacBook Pro! A pretty cool video of Half-Life 2 Running on Windows XP on a MacBook Pro. Google Inc., looking to confirm online search behavior influences offline buying habits, has released a study by comScore Networks that finds 63 percent of search-related queries are followed up with purchases in brick and mortar stores. The study, released Tuesday, examines the impact of Web searches on offline buying during November and December in the United States. Consumers who searched for video games and consoles, 93 percent, followed by toys and hobbies, 88 percent, were among the highest groups to search online before making a purchase in a physical store. Among the 83 million consumers who searched for items in one or more of the eleven product categories -- from music, movies, and video to computers, peripherals and PDAs -- the 8.6 million who bought the products online were more "intense" users of search technology, performing nearly ten times the number of searches compared with non-buyers. The study, which validates search as a tool, aims to help Google direct business partners on where to spend multi-channel marketing dollars. "Google is considered a sales channel for Best Buy, Dell, and Hewlett-Packard, so any information to help them interpret general consumer buying habits and strategies is useful," said John Burke, Google's vertical director of technology. "Our objective is helping companies make smarter marketing decisions." But will the data trickle down the supply chain to allow retail and consumer goods companies to make better decisions on raw-material purchases to build finished goods from iPods to computers and servers? Technology companies from semiconductor and capacitor manufacturers to makers of finished consumer goods continue to struggle with analyzing demand. The findings could help companies throughout the supply chain understand market trends even prior to October and December when consumers tend to reach deeper into their pockets and spend more. "We've been working with our partners for years to provide them insight," Burke said. "Have we solved this problem? No, but we're getting closer." The data Google stores relates to "macro keyword searches." Names and addresses aren't kept, Burke said. From these search queries, Google can analyze, down to the Zip Code and region, the demand for goods and services throughout the world. In the United States, Google completed 18 months ago a reorganization of its corporate sales and marketing divisions into vertical segments -- technology, healthcare, finance -- and has begun the task in Europe. Asia-Pacific will follow during the next year. Google also can use the data to support click-through advertising sales for AdWords and Adsense. Google's March 16, 2006, United States Securities and Exchange Commission filing reveals several pages dedicated to AdWords and AdSense, offering detailed explanations of many features and tools included in two paid-advertising packages. Google's interest in buying and selling goes even further. The company has developed Google Base, a place for people to list nearly any type of digital content or any item for sale, making them searchable by Google.